Extreme offers a full range of solutions for the daily orthopedic surgical practice, from pre-surgical planning to intraoperative guidance to postoperative reporting and sharing. Orthopedic technology is used in about 40,000 cases each year, helping minimize the challenges of precision and reproducibility and achieve the desired outcomes for patients and surgeons. 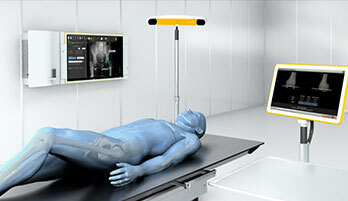 This growing standard-of-care technology, used in over 3,000 facilities worldwide, allows clinicians to more effectively plan, perform and document procedures and offers substantial benefits for patients, which may include increased surgical accuracy, faster recovery and prosthetic longevity. For detailed information please click here or visit www.brainlab.com.